Taking photos, racing, scaring ducks... what else to drones actually do to help you in life? Well, before this day, nothing. And then DronesDirect created the Umbrella Drone, a drone with... yeah, you get it. 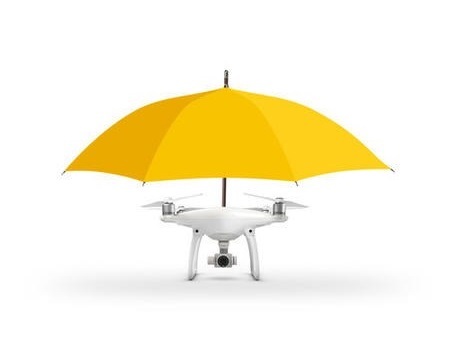 The Umbrella Drone is a modified DJI Phantom 4. We're not exactly sure how they have modified it, though. Any guesses? The drone can, so DronesDirect claim, hover above your head and follow you around as you walk, avoiding obstacles like trees and lampposts as it moves. 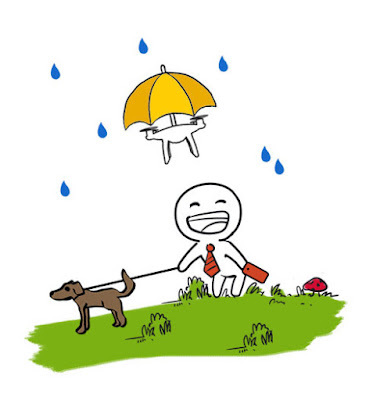 The umbrella then shields you from rain, or rather it would definitely shield the drone from rain. Wouldn't the props actively push water down toward you? Anyway, it's a bit of stunt, but a fun one nonetheless. Should you want it, you can buy it for mere £1299. Go for it!